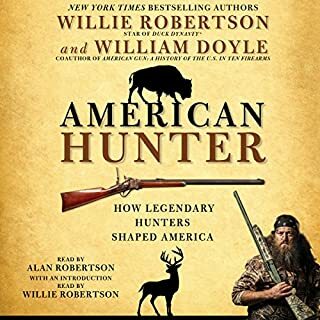 Chronicling the great hunters of America - beginning with the Plains Indians and moving through legendary hunters like Daniel Boone, Davey Crockett, Kit Carson, Buffalo Bill, Teddy Roosevelt, Ernest Hemingway, Lyndon Johnson, and more - American Hunter honors the heroes and traditions that have built America. Absolutely a must have for anyone Hunter or non . 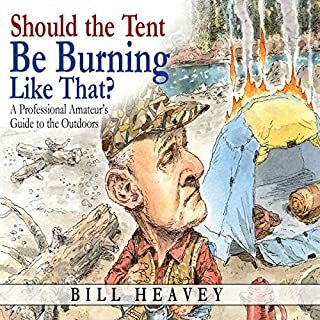 Whether he is accidentally cooking his brain with hand warmers or yanking his lure away from a trophy fish just before it takes the bait, Bill Heavey can do no right. For almost a decade, he has chronicled his incompetence on the back page of Field & Stream, where his hilarious dispatches about life as a hapless outdoorsman who lives in suburbia have earned him legions of fans. For more than 20 years, Heavey has staked a claim as one of America's best sportsmen writers. In feature stories and his Field & Stream column A Sportsman's Life, he has taken audiences across the country and beyond to experience his triumphs and failures as a suburban dad who happens to love hunting and fishing. This new collection gathers together a wide range of his best work - tales that are odes to the notion that enthusiasm is more important than skill and testaments to the enduring power of the natural world. An award-winning historian tells the story of hunting in America, showing how this sport has shaped our national identity. From Daniel Boone to Teddy Roosevelt, hunting is one of America's most sacred - but also most fraught - traditions. It was promoted in the 19th century as a way to reconnect "soft" urban Americans with nature and to the legacy of the country's pathfinding heroes. Fair chase, a hunting code of ethics emphasizing fairness, rugged independence, and restraint towards wildlife, emerged as a worldview and gave birth to the conservation movement. The legendary American outdoor writer’s finest collection. For decades, Gene Hill’s articles and books have captured the spirit of the outdoors in a way that inspires and entertains millions of readers. A Hunter’s Fireside Book captures the essence of the life of a sportsman and explores the full spectrum of the hunter’s experience: sunrises in the duck blind, an unforgettable hunter’s moon, the camaraderie of men who know the pleasures of being wet and cold and a little bit lost. 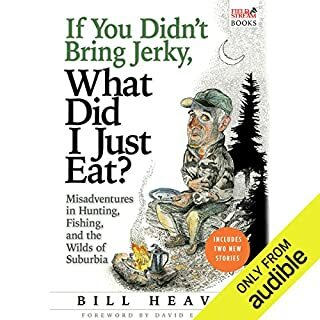 A longtime contributor to Field and Stream, Bill Heavey knew more than a little about hunting and fishing when he embarked on an ambitious project a few years ago to see how far he could get eating wild. But Heavey knew next to nothing about gardening or foraging, and he lives in northern Virginia, close to Washington, D.C. The rural wilds, this was not. Is it any surprise that his tasty triumphs were equaled by his hilarious misadventures? Not what I thought, but still loved it. In Wild Men, Wild Alaska professional hunting and fishing guide and outfitter Rocky McElveen tells the stories of his own adventures as well as those of some of his well-known clients. The book takes listeners directly into the Alaskan bush, and shares the intense challenges of a majestic wilderness that pushes a man to his limits. Whitetail Nation is the uproarious story of the season Pete Bodo set out to kill the big buck. From the rolling hills of upstate New York to the vast and unforgiving land of the Big Sky to the Texas ranches that feature high fences, deer feeders, and money-back guarantees, Bodo traverses deep into the heart of a lively, growing subculture that draws powerfully on durable American values: the love of the frontier, the importance of self-reliance, the camaraderie of men in adventure, the quest for sustained youth, and, yes, the capitalist’s right to amass every high-tech hunting gadget. Avid hunter Jay Cassell has edited several guidebooks and references of hunting advice, but his anthology of The Best Hunting Stories Ever Told explores not the head, but the heart of those drawn to the great outdoors. From the thrilling action of Christopher Batin's "Night of the Brown Bear" and "Wolf Hunters" to the tear-jerking poignancy of Cord Ford's "Just a Dog", Jason Culp captures the voices of these impassioned huntsmen. 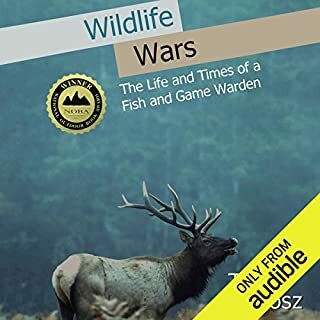 The works of over 100 authors - turkey hunters in America, tiger trackers in Asia, legends and unknowns alike - culminates in a meditation on not only hunting but on life itself, sure to enrapture any listener during the off season. Top hunters and writers contribute to this exciting new adventure series! Follow the trails of hunters - the original storytellers - as they interpret signs, examine tracks, and chase and catch their prey (or fail to). Listeners can curl up with the best authentic hunting fiction and non-fiction, bringing the great Mount Kenya and the prairies of the American Bison into your living room. From Theodore Roosevelt and Gene Hill to Rick Bass and Charles Dickens, remember classic hunting tales and discover new stories of hunters’ luck, camaraderie, and use of smarts on the trail. 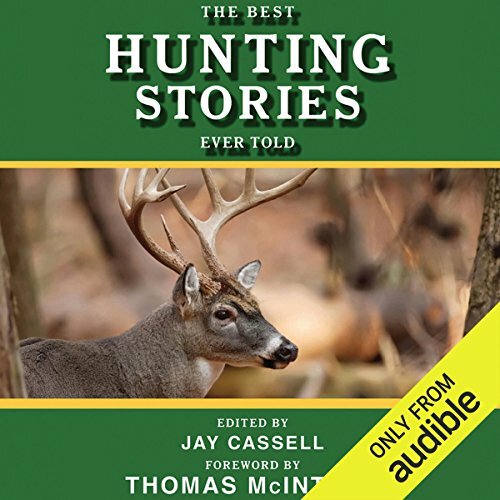 The thrill of the chase and the passion for outdoor living are elegantly brought together in this exquisite volume, certain to delight both hunters and short-story aficionados. ©2010 Jay Cassell (P)2013 Audible, Inc.
Cassell's selections might not match my own -- no George Bird Evans, for example -- but he includes a fair and broad sample of writings by excellent writers. Well performed with enough voice inflection, accent, etc. to conjure the spirit of each piece, this collection would be a great way to introduce anyone to hunting literature. This collection of short stories was nothing short of exceptional. 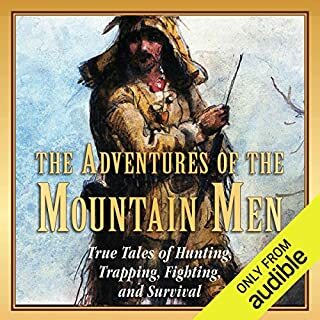 If you are a hunter, or outdoorsman of any kind for that matter, please make this your next audible download. The narrators were excellent, and you will be riveted to every word. This stories contained within will stay with you a lifetime, and you will recall them often during your adventures and forays into the woods. Enjoy, and happy listening. Read this occasionally while mowing and doing lawn work. It was relaxing and always had good story to be told. This really is the greatest collection of hunting tales I've come across. organized by speicies and continent (US, Africa) which keeps you in the state of mind to enjoy the setting. stories old and new . 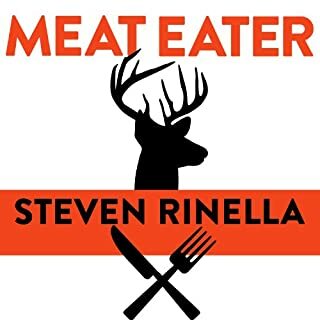 I love this book the stories are often tastic some will make you laugh others will make you cry I would recommend this book for hunters and non-hunters alike . definitely a book I will read repeatedly . I only wish there were more stories . This book was outstanding in every way! The stories were engaging and the narration was superb. This is a keeper! Many many stories. Some amazing and some ok but well worth it if you're into hunting / conservation. this was a good collection of a range of different stories and not just from one point of veiw.